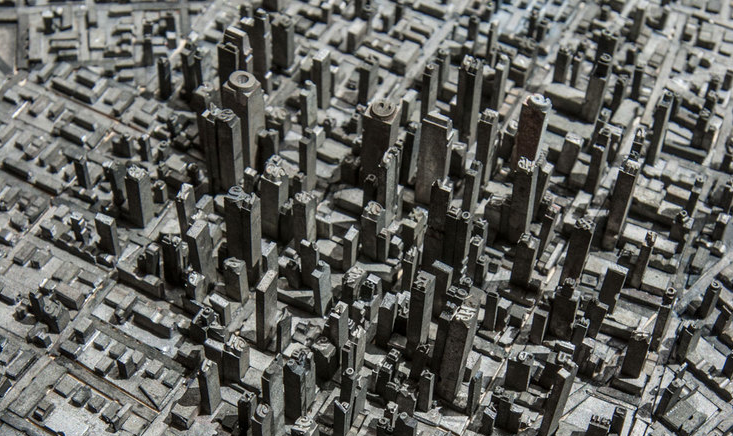 Type City, a “metropolis created from moveable type” as NOTCOT calls it, was built by NY-based artist Hong Seon Jang. As you can see in the images below, the feat shows a true love for art, architecture and typography, with quite spectacular results. Yes, computers are wonderful and make this entire process wildly easier — but there is something special about the results that come from a proper letterpress. For more on Hong Seon Jang, check out his statement and bio.